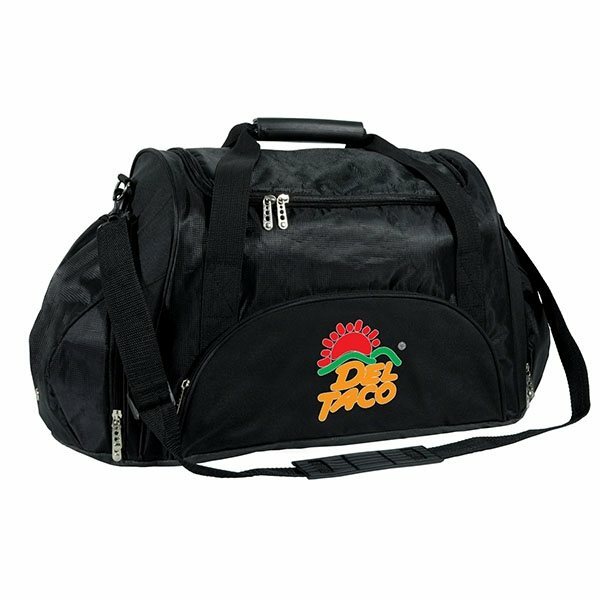 Premium sports duffle bag that is both functional and fashionable. Duffle opens wide to reveal a roomy interior that can hold a change of clothes and exercise gear. Sized to fit in a gym locker. Features a separate wet/dry shoe tunnel that keeps footwear away from your clothes and other belonging. 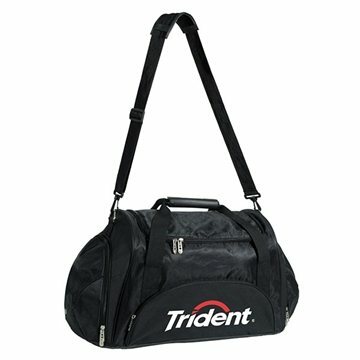 Includes a unique interlocking carry handle, adjustable and removable shoulder strap, one large zippered pocket in the front and two side pockets for small personal items. The imprint was detailed and legible. the ordering process was simple and my customer was very happy with the end product. You made me look good! Everyone I gave one to wants more. Great work!! these also turned out great! The guys love them! We will order more product. Great promotional product at a great price.